Sometimes I have trouble knowing when to stop doing things. 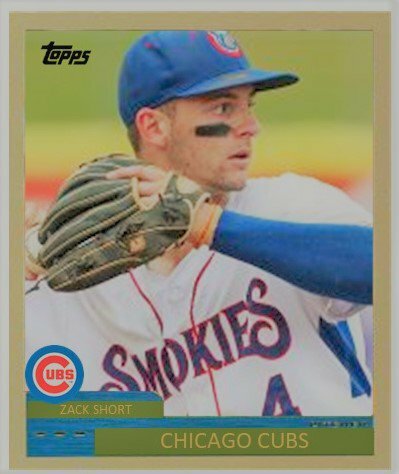 Listing shortstops in the Cubs organization this year is one of them. This trend started about a year ago when last year‘s post had Aramis Ademan leading a group of mostly unproven shortstops, save for Zack Short. It was a pretty exciting year at the position as the Cubs continued adding to their depth through the draft and international free agency. In just one year’s time, the position is totally jumbled from the previous year. After struggling to hit at Myrtle Beach, Aramis Ademan still is held in high esteem, but his bat just needs a lot of work with handling pitches that start with a letter other than F. Zack Short should be ready to go at AAA Iowa and Luis Vazquez showed at Eugene that he’s a freaking panther out at shortstop, defensively far above anyone else in the system. Delvin Zinn moved around and who knows where he’s going to play in 2019. Meanwhile, Andruw Monasterio is now in the Indians’ system. Things are really cooking down in the lower part of the system when it comes to shortstops. 2017 international free-agent signing Luis Verdugo struggled at Arizona in July but did much better in August earning praise as one of the top 20 prospects in the Arizona Rookie League from Baseball America. Verdugo comes in at number 6. I was a little hesitant to put Fabian Pertuz on here. As a 17-year-old shortstop, he had a 149 wRC+ in the Dominican last summer. Those are kind of eye popping numbers. He’s one of my top 10 young guys to watch for 2019. I love to watch Luis Vasquez play shortstop. He turned 19 in October and the hitting is going to come eventually. He sees the ball well, it’s just gonna be a matter of time before he makes consistent contact. And believe it or not, there’s still room for improvement on defense with his arm. I don’t think I really saw him just let it rip from deep in the hole last year. Everything he did looked very fluid and controlled. 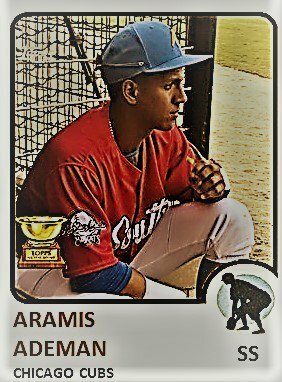 Aramis Ademan slips all the way to number three. He barely hit .200 at Myrtle Beach and looked over matched at the plate. In the field, however, he looked very much in control and flashed some pretty good skills. Right now, I am of the mind that he should begin 2019 back at Myrtle Beach. He will be 20 when 2019 begins and repeating the level, for a while, might be the best thing. Last year was an impressive run for Zack Short. He displayed power and the ability to get on base at a high clip (.356) despite a low batting average (.227). If you’re one of those guys who is focusing on his batting average as a condition of his worthiness, you’ve got to get past that right now. With a wRC+ of 129, he is most definitely above average at his position and could see Chicago in 2019. This kid can hit for power and can draw a walk. He’s an outstanding young player. Coming in at number one is the worst kept secret this winter. 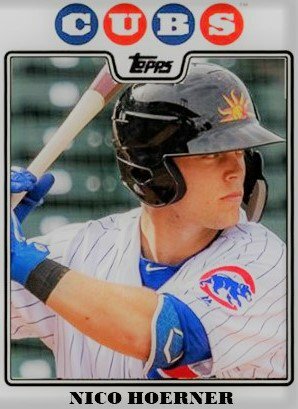 You have to be impressed with Nico Hoerner’s rapid ascension through the system with just 138 at bats. I doubt he will be playing shortstop all the time in 2019. Look for him to move over to 2B early and often in the spring and to get a lot of looks with the big league team in spring training. That’s about as far ahead as I want to look. I can wait to learn to where he is going to begin the season in April. As for a sleeper, I don’t think anyone needs to look any further than 17-year-old shortstop Pedro Martinez. Yes, you read that right, Pedro Martinez. 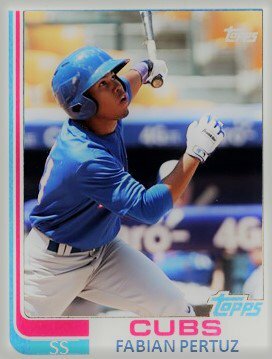 The 17-year-old switch hitter did very well in Dominican last year and will probably be in Mesa for the 2019 campaign. Jose Huma and Orian Nunez are two other guys keep an eye on and it will be interesting to see just where 2018 draft pick Levi Jordan plays next year and how much he plays at short.